January coffee morning on Sunday 13th This one’s at Studley Park Boathouse Cafe – 1 Boathouse Road, Kew (off Yarra Boulevard near Johnston St) – from 9am onwards. Cafe is down below on the river side. Lovey place on a nice day. There will be an coffee morning on Sunday 7th October. To cater for those in the Northern and Western suburbs, we will be meeting at the Olive Tree Hotel in Sunbury (111 Evans St,) from 9.00 am. There has been a change of venue for the October General Meeting. It will be held at Waverley Renault in Springvale Rd Mulgrave (opposite Brandon Park Shopping Centre); arrive from 6:30pm for a prompt start at 7.00pm. As previously advised (see earlier post), this years French Car Festival will be held at Markham Reserve, 8o Victory Bvd, Ashburton on Sunday October 28 from 10.00 am. Entry Fee is $10.00 per car. 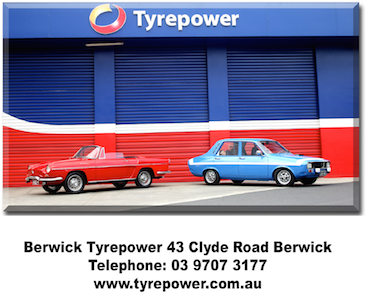 We will having a drive to the event from the Carousel Café (22 Aughtie Dve) Albert Park leaving at 9.30 am. If you wish to have coffee first, arrive early. Another coffee morning has been scheduled for this Sunday at Flavours Patisserie, 31 Bluff Rd Black Rock at 9.30 am. All welcome. Details for the drive day component of the 2018 Bastille Day joint french car club social drive and luncheon. Open to all members whether attending the luncheon or not. 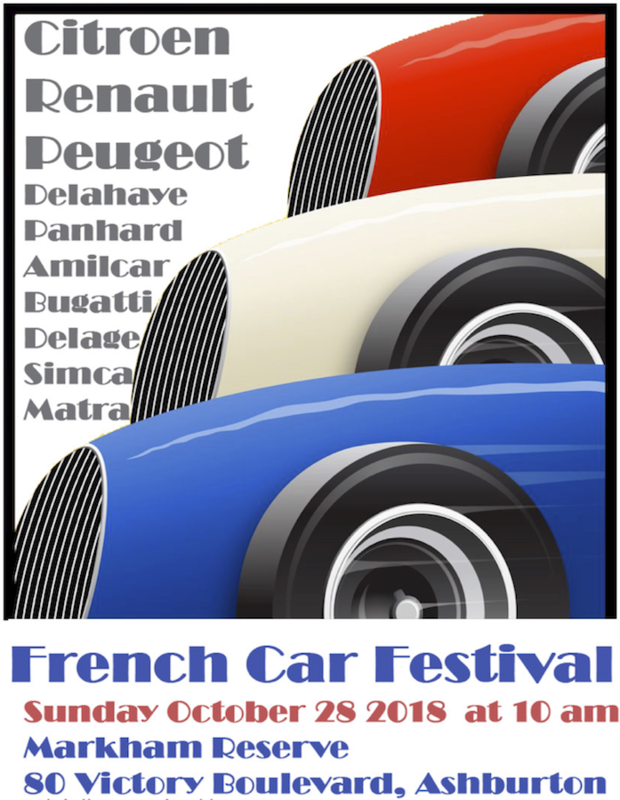 The French Car Festival this year is being organised by the Citroen Car Clubs and will be held on October 28 at Markham Reserve, Victory Boulevard, Ashburton (enter opposite number81). Further details will be posted as they become available.